I am not a huge pudding fan, but combined with chocolate crumbs and whipped cashew cream, this pudding knocks it out of the park. It’s delicious and healthy at the same time. 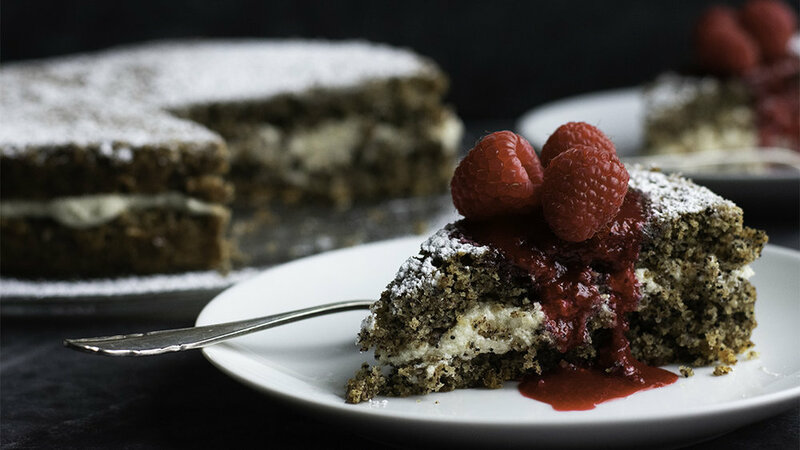 If you make just the pudding, you may want to choose cornstarch instead of ground chia seeds for the smoothest result. It doesn't matter with the parfaits, because the texture of the chocolate crumbs and the pudding get mixed together when you eat them. Soak the cashews in cold water at least 2 hours, or pour boiling water over them, cover, and let them soak 20 minutes. Blend the following ingredients in a blender until smooth. Pour the mixture into a saucepan, stirring often with a whisk, and slowly bring to a boil. Reduce the heat immediately and boil on low heat for 1-2 minutes, until it thickens up. Transfer to a bowl or other container and put into the refrigerator to cool for at least 3 hours. Make the chocolate crumbs separately by putting all ingredients in a food processor or small blender (like a “bullet”). When I was in Seattle recently, I bought a Flying Apron Peanut Butter Joy bar. It was incredibly delicious. I set out to create a slightly healthier version by replacing rice and maple syrups with date paste and replacing sugar-sweetened chocolate chips with alternatives. Based on the rave reviews of these bars, I think I’ve succeeded. Line a 9”x9” pan with parchment paper. Mix the following ingredients in a medium-large bowl with a wooden spoon. Spread the mixture into the lined pan and spread it out into an even layer. Top the mixture with any/all of the following – press the toppings into the bars. Chill in the refrigerator for about an hour or until set. This recipe is an adaptation of Robin Robertson’s recipe for carrot cake. I did the multiplication to have enough for two layers or a 13x9 cake, plus I futzed with the measurements and replaced some of the oil with applesauce. Carrot cake is a bit old-fashioned now, but the autumn-spice flavor and the complex texture are timeless and appealing. Preheat the oven to 350°F. For a layer cake, line two 8” round pans with parchment or wax paper. Spray the sides lightly with spray-oil. For a sheet cake, spray an aluminum or glass 9x13” pan with spray-oil. In a large bowl, combine the following ingredients. Add the dry ingredients to the wet ingredients and stir until just combined. Then stir in the carrots and add-ins until just combined. Scrape the batter into the prepared pan(s). Bake until a toothpick comes out clean, 30-40 minutes for 8” rounds or 40-45 minutes for 13x9”. The cake should be a definite shade darker than the raw batter, with the edges even darker, and a toothpick should come out clean. For 8” rounds, let the cakes cool in pan for 15 minutes, then invert them onto wire racks to cool completely. This frosting goes well with the Gracious Vegan Carrot Cake. I don’t like frosting with a lot of vegan butter and shortening in them. I kept experimenting with combining a smaller portion of vegan butter than usual with some whipped cashew cream. The problem was that the water used in the whipped cashew cream made the frosting watery. So I approached it another way: I melted the vegan butter and had it serve as a liquid for whipping up the cashew cream. After you blend them together (with a few other ingredients) until the cashews dissolve, you refrigerate or freeze the mixture, then use a mixer to make it fluffy. I wish it could eliminate the chilling step, but I haven’t found a way to do so. Soak cashews in cold water at least 2 hours, or pour boiling water over them, cover, and let them soak 20 minutes (even if you have a high-speed blender). Melt butter in a small container in the microwave (or on the stove). Put the melted butter and soaked (and well-drained) cashews in the blender. Add the following ingredients. Blend on high under you have very smooth cream. Add powdered sugar and blend again until smooth. Transfer to a container or the bowl you use with your mixer. Refrigerate the frosting for at least 4 hours (or freeze for 2 hours). Then whip it with a mixer on high for about 2 to 3 minutes until the frosting is smooth and as fluffy as you can get it. 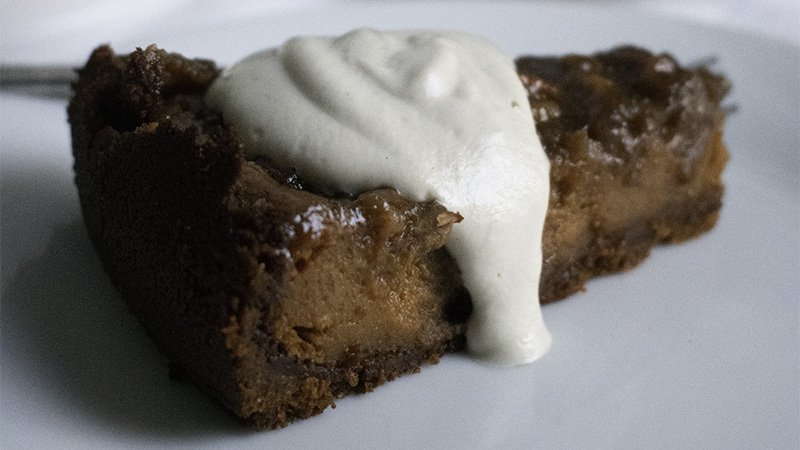 After I included vegan white chocolate chunks in a contest-winning cookie recipe last Christmas, I decided I wanted that flavor in a cake frosting. Many experiments later, I have arrived at this solution. This frosting also serves well as a filling, as I show in this photo with the Gracious Vegan Almond Poppy Seed Cake. When they are done soaking, rinse and drain them. Then put them in the bottom of a blender and add just enough water to barely cover them. Blend on high under you have very smooth cashew cream. Set aside. Separately cream butter with a mixer on medium speed. Very carefully melt the white chocolate. Use a double-broiler or a microwave (for the microwave, start with 45 seconds, stir, then 30 seconds, stir, then 10-second increments). Stop heating the chocolate when there are still a few small lumps of unmelted chocolate in the bowl and stir them smooth. Do not let it cool much before adding to the butter, or else there will be chunky pieces of chocolate in the frosting. Add to the creamed vegan butter and whip on medium until creamy. Add powdered sugar, and cream on medium until light and fluffy, 1-2 minutes. Stir in the following ingredients and beat on high for about 1 to 3 minutes until the buttercream frosting is smooth and fluffy. This is a barely adapted recipe from Vegan Richa. The reason I am not simply linking to it is that her recipe is difficult to triple (I rounded some to the nearest familiar measure for ease) and I added extra nondairy milk, because every time I made her recipe it was too thick. Note that the cake will be darker if you use almond flour made from unblanched almond. I think it’s prettier to use blanched, but both ways work well. This cake has a phenomenal flavor as well as texture. It has a moist, delicate crumb. Preheat the oven to 350°F. 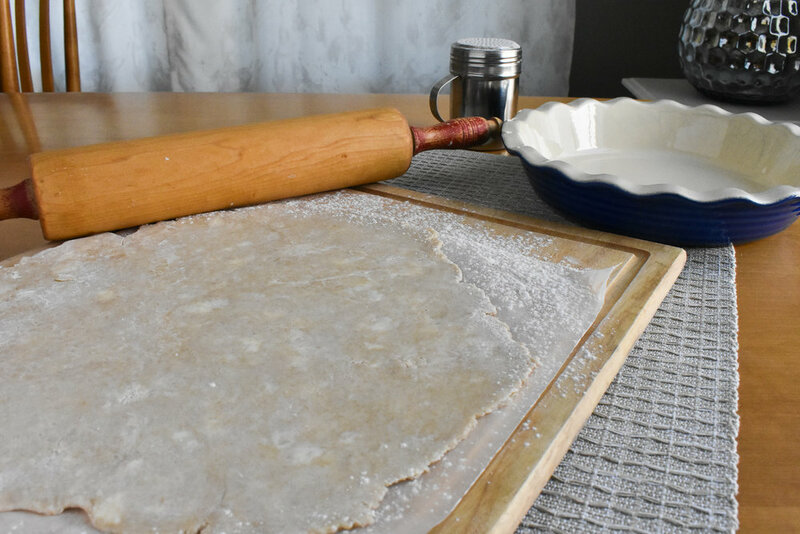 Line a 9” round cake pan with parchment or wax paper, or use a tube pan. Spray the sides of the pan with spray oil. In a medium-large mixing bowl, mix the flax and milk and let them sit for 5 minutes. After 5 minutes, add the following ingredients and mix well. In another bowl, mix the dry ingredients together and break up any lumps with a spoon or whisk. Add the dry ingredients to the wet and mix well until smooth. Scrape the batter into the prepared pan. Bake at 350°F for 30 minutes or until a toothpick from the center comes out clean. Cool for 15 minutes, then remove from the pan. Cool completely before icing. For a layer cake, slice the 9” round in half and fill with Vegan White Chocolate Cashew Buttercream, then top with a berry sauce and berries. Note that spreading frosting on the cut side of one of these layers is difficult, because the crumbs come off the cake and onto the frosting. It works best by piping the filling or turning over the bottom layer so that the bottom of the cake is in the middle. * A note about starches. Too much tapioca starch (which is the same as tapioca flour) or cornstarch can make baked goods too dense. Too much potato starch (not the same as potato flour) can make baked goods too crumbly. This is why Vegan Richa suggests the blend she does. This cake’s texture is on the crumbly side, which is one reason I like it. You could go half potato starch and half tapioca or cornstarch. After I went vegan, I thought I would never get to eat pecan pie again. I was fine with that--I could sacrifice that easily for the sake of animals--but there was a certain wistfulness in saying goodbye to a favorite dessert. But lo and behold, vegan cooks had been working on it! I found Tofu Mom's site, and she gave me a great basis for this recipe. The crust is one I'd been working on for a long time. I tinkered with the filling proportions and believe I've got it just right. Yum! The pie. Preheat oven to 350°F. Arrange the pecans in a single layer in the bottom of uncooked crust (see crust recipe below). Process the following in a food processor or blender, or mix with a hand-held mixer until very smooth. Gently pour mixture over nuts. Bake for 60-75 minutes at 350°F or until it looks like it's starting to solidify - it will set up completely as it cools. You may need to cover the crust so it doesn’t burn (check after 45 minutes). Cool completely before serving. Crust for dessert pies. Makes 2 crusts – you only need one for this pie – you can freeze the other one in disk form. Put these in the food processor and pulse a few times to combine. Add the fats and pulse as much as needed to get a texture with pea-size pellets of butter/shortening. Transfer to a bowl. Add water, 1-2 tablespoons at a time, drizzling it around the rim of the bowl. Use a kitchen fork to gently mix the water in, trying to wet as much of the dry mixture wet as possible. To determine if the mixture has enough water, gather some in your hand and press it against the bowl to see if it will hold together. If not, add more water sparingly, about 1 teaspoon at a time, adding only enough for it to form a mass. Too much liquid and/or overworking the dough will toughen it. With floured hands, press the dough against the side of the bowl, forming 2 balls. All the crumbs should adhere to the balls and clean the bowl. If not, add a few drops of water. Flatten the balls into two 4- to 5-inch disks. For this pie, roll out one crust and lay it in the bottom of a deep dish 9” or 10” pie dish. Rice pudding with sugar and white rice is a snap. But I wanted to find out if it was possibly to have a truly appealing rice pudding with brown rice and without sugar or any other unhealthy sweeteners. The answer is “Yes!” Blending the dates until smooth is the trick here, as is blending the dates with soaked raw cashews, which add creaminess to the pudding. With creative toppings (also healthy), you can create a dessert that will be tempting to omnivores as well as plant-based eaters, although omnivores who are suspicious of vegan or healthy dishes may not like this one much. Add the following ingredients into Instant Pot (or other pressure cooker). Lock the lid and set the vent to sealing position. Press the Manual button and adjust time to 25 minutes. Cooking will start. Separately, put the following ingredients into the blender container and let them soak together while the rice cooks. When the Instant Pot beeps, allow the pressure to release slowly for 10 minutes. While the pressure is releasing, blend the dates, cashews, water, vanilla, and cinnamon until they form a smooth paste. After the 10 minutes is up, press the Cancel button and open the vent. After it depressurizes, open the lid and stir in the date-cashew mixture. The pudding will thicken as it cools. Serve warm or cold. 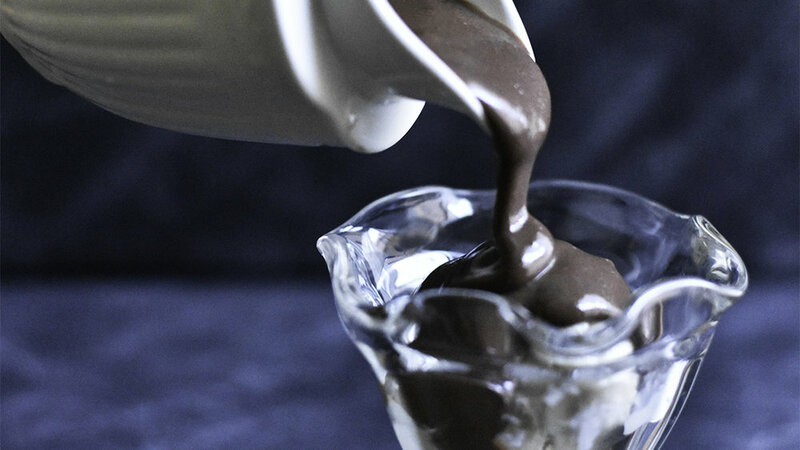 If you’re eating healthy and just want some sweetness now and then, this fudge sauce is a life-saver. Dates and cashews give it sweetness and creaminess. Nondairy milk and cocoa powder do the rest. It goes with everything! After the soaking time, add cocoa powder and blend all the ingredients together until smooth. Pour the mixture into a saucepan and bring to a boil. Reduce to a simmer and cook over very low heat, stirring or whisking continuously (because the dates and cashews burn) for about 5 minutes, until thickened. You can thin it out by whisking in water if you need to at any point. This super-healthy pumpkin ice cream (no sugar, no added fat) is a great alternative to pumpkin pie after the Thanksgiving meal. It’s easiest if you make it right before serving — then it’s the texture of soft-serve ice cream. If you freeze it, you’ll need to let it sit out for 30-60 minutes before serving to get it back to the right consistency (it ices up a bit). Place all ingredients into a blender or food processor (I have better luck with the food processor) and blend/process on high until a smooth and creamy ice cream forms. You may have to stop and scrape down the sides one or more times. This miraculous concoction has no butter, oil, eggs, or sugar. The almond flour is the key for moisture and texture, and the dates kick in the sweetness. The result is a dense but not gooey cake—to me, that’s perfect. Preheat oven to 325°F. Grease an 8" round cake pan lined with parchment paper. Sift these ingredients into a medium/large bowl. Add the flour and salt into the sifted ingredients, stir or whisk them together, and set aside. Place the dates and liquids in a blender. Blend until a smooth paste forms. Blend the following ingredients into the date paste for about 30 seconds so that the thickeners are activated. Add the wet mixture to the dry mixture and stir until smooth. Spread the batter in the pan. Bake for 30-35 minutes, or until a toothpick comes out clean. Let cool for at least 10-15 minutes before serving so that it has time to set. Serve at room temperature or chilled. Serve with fruit, date-sweetened Vegan Whipped Cream, Healthy Chocolate Fudge Sauce, toasted nuts, and/or chocolate banana ice cream. 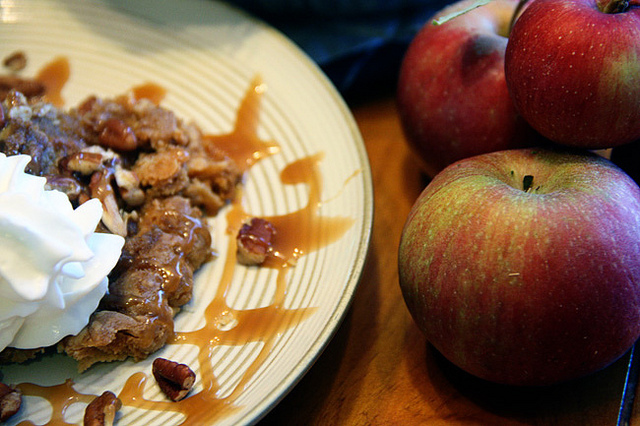 This very healthy version of apple crisp doesn’t sacrifice taste or satisfaction. You won’t believe there’s no butter or sugar. You have to try it to believe it. Peel and core apples. Thinly slice them into a large bowl. Sprinkle the flour onto the apples and toss or fold to coat the slices with flour. Add the following ingredients into the apples and stir until all apples are coated and the date paste is well distributed. Spoon the mixture into a casserole dish or a glass baking pan. Cover with foil and bake for 35 minutes. While the apples are baking, make the topping. Topping. Chop the dates in a food processor until they are in small bits. Add remaining ingredients and pulse to just combine them. The mixture should hold together enough to make small clumps. If it's too dry, add water, just a tablespoon at a time, to reach a clumping consistency. When the apples have baked 35 minutes, remove from oven, spread the topping on the apples, return to oven, and bake 20 minutes, uncovered, or until the filling is bubbly and the topping is golden. Serve with Vegan Cashew Cream if desired. This cashew-based whipped cream has a unique flavor. It’s not the same as dairy whipped cream. Many omnivores like it better. By using date paste, you can make this a whole-food recipe, with no processed ingredients and no added fats or sugar. Drain and rinse the cashews and put them in a blender with the following ingredients. Blend on high for up to several minutes, until smooth and creamy. Transfer to a sealed container and chill in the refrigerator for a few hours to thicken. The whipped cream will keep in the refrigerator for about a week. It can also be frozen. You may have to whisk or blend it after letting it thaw. See a brief explanation of xanthan gum. I owe the gist of this recipe to Carole Walters. I veganized it, played with the proportions, and adapted it for savory pies (like my Vegetable Pot Pie). This dough is easy to make, easy to handle, and is reliably flaky. If you don't have a food processor, you can use a pastry cutter or a couple of table knives to cut the butter and shortening into the flour. Add about 4 Tablespoons of water and pulse lightly. Then add a couple Tablespoons more and pulse lightly. Then add 1-2 Tablespoons as necessary until, when pressed against the bowl, the dough holds together. Scoop the dough against the side of the processor bowl, forming 2 rough balls. Bring each of them out onto a sheet of wax paper. Shape each into a dough and flatten it into a 4- to 5-inch disk. Wrap each disk in the wax paper or plastic wrap. Chill 30 minutes or longer before rolling out. If too hard to roll out, let it sit on the counter for 15-20 minutes. Storage: The dough will keep for up to 3 days in the refrigerator or several months in the freezer. To thaw, you can either move it to the refrigerator for 12 hours or more, or let it sit on the counter for a couple of hours. Faces light up when you announce that dessert is tiramisu! This version will please tiramisu lovers and may create some new ones. The cashew cream gives dairy-based mascarpone cheese a run for its money. No sacrifices with this vegan version. In a separate bowl, whisk together the following ingredients. Pour the wet mixture into the dry mixture and stir until just combined. Do not over mix. Fill each prepared pan with batter and smooth. Bake for 18-20 minutes, or until a toothpick inserted in the center of the cake comes out clean. Cool the cakes completely before assembly. “Mascarpone.” Blend the following ingredients together in a blender until a very smooth, thick texture is achieved. Chill. Espresso Soak. Stir the following ingredients together in a bowl or measuring cup. Chocolate shavings. Use a vegetable peeler and shave the side of the chocolate bar until you have a pile of chocolate shavings. Assembly. You can make your tiramisu in one large glass or ceramic dish. Or you can make individual servings in ice-cream or other glass dishes, or even make free-form mini-tiramisu’s and serve them on a platter - lovely for a dessert buffet. Start with a layer of cake, then spoon some espresso soak onto the cake and let it seep in. Then layer on some mascarpone and then chocolate shavings. Repeating the layers at least once makes the dessert look beautiful. End with mascarpone and chocolate shavings. Nutrition: This isn’t a healthy food – it’s healthier than dairy-based tiramisu, though. Date-based caramel sauces taste wonderful, especially in raw sweets and as dips (for example, my Caramel Walnut Dip for Fruit Slices). Unfortunately, date-based caramel sauces don't always work well in cooked baked goods like my Oatmeal Caramel Chocolate Bars. So I've had to look around for a solution. I've yet to find a vegan caramel sauce in a jar that I can buy, either in a store or online. I've tried many recipes and finally triangulated several to come up with my own. There are many caramel sauce recipes that use a "dry" technique (heating the sugar without any liquids), but those work best with refined sugar, the kind filtered through animal bone char, which I won't use. So this solution isn't as fancy as caramel sauces using that technique, but it's delicious nonetheless. In a saucepan, combine these ingredients. Cook over medium heat until sugars dissolve, then allow the mixture to continue to a boil. Let it boil about a minute, but no more. The whole cooking process will likely take somewhere from 3 to 5 minutes. Remove from heat and stir in the vegan butter. Pour into a heat safe container and use immediately or let it cool. Store in refrigerator, where it will last about a week. With no added sugars or fats, this dip has an indulgent flavor that's addicting. You might want to use it on lots more than fruit slices--toast, cake, ice cream, rice cakes... With a nice assortment of fruit it would make a healthy but very satisfying dessert. Add dates, walnuts, and water to the pitcher of a high-speed blender. If you have time, let them sit for 10-30 minutes to soften. Add the vanilla and cinnamon, if using. Puree on high speed until completely smooth, a minute or two. Add more water, a tablespoon at a time, if needed to keep things moving.